As soon as I saw this recipe in Taste of the South, I knew that it would make an appearance on this year’s Thanksgiving table. 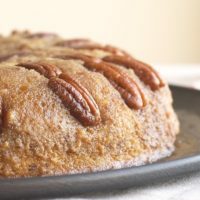 It has two big things going for it – pecans and simplicity. Don’t let this one catch you off guard. This little cake packs a lot of punch. The caramel topping really takes this simple cake and turns it into something fantastically delicious. It somehow manages to be simple and complex at the same time. I really liked this cake so much more than I had anticipated. And, trust me, I was pretty sure it was going to be good. I confess that the original recipe also had a recipe for a brown sugar brandy sauce to serve with the cake. I did make it and included it in the cake recipe here. But, I like the cake better without the sauce. 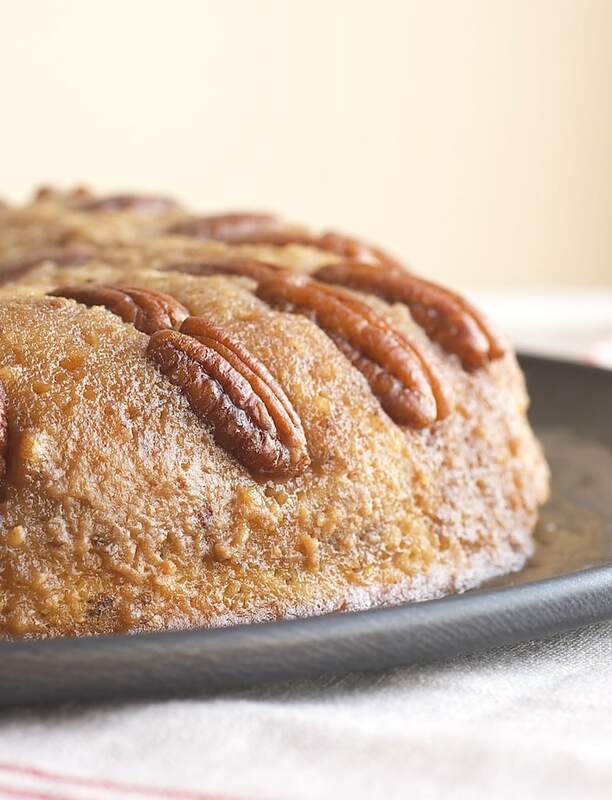 It has plenty of pecan and caramel goodness on its own. Beat softened butter at medium speed with an electric mixer until creamy. Gradually add sugar and beat until fluffy. Add eggs, one at a time, and beat well after each. Mix in vanilla. In a separate bowl, combine flour, baking powder, and salt. Sift mixture twice. Add flour mixture to butter mixture, alternating with buttermilk. Begin and end with flour mixture. Fold in chopped pecans. Combine melted butter and brown sugar. Add cream and stir until smooth. Pour butter/brown sugar mixture into bottom of 9-inch round cake pan. 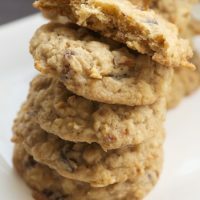 Arrange pecan halves in butter/brown sugar mixture. 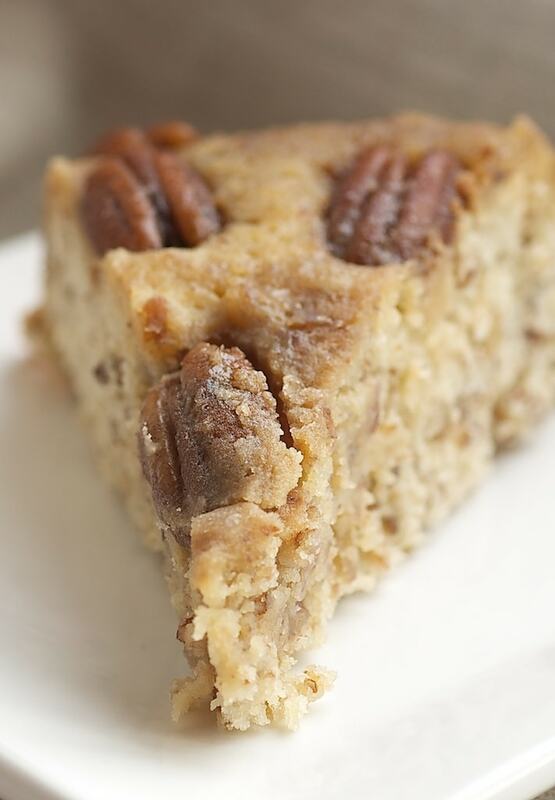 Spoon cake batter over pecan halves. Bake 40-45 minutes, or until a wooden pick inserted in the center comes out clean. 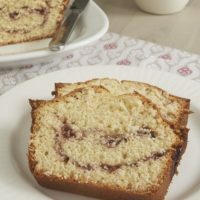 Run a knife around the edges of the pan to loosed cake. Turn cake onto serving dish immediately. Serve with Brown Sugar Brandy Sauce, if desired. Melt butter over medium heat in a saucepan. Add brown sugar and whisk to combine. Add brandy and whisk to combine. Add cream and whisk until smooth. Cook, whisking frequently, 2-3 minutes or until sauce is heated through. Sauce can be made ahead and refrigerated. Reheat in the microwave for serving. i am a pecan junkie. have you tried those sweet & spicy pecans from trader joe’s? I haven’t tried those! I will put those on my list for my next trip there. Thanks for the tip! 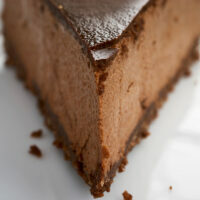 I’d love a slice of this pie right now. Wow, that looks fabulous. I just printed the recipe and will likely make it tonight. I think I have all the ingredients on hand. One question, I wonder about using browned butter for the butter? 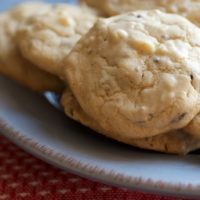 I love browned butter, but wonder if it would be overkill, too rich, for this recipe? 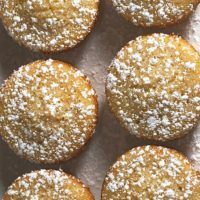 Jennifer, using browned butter will definitely make the cake richer, but that’s not necessarily a bad thing. I don’t think I’d want it any richer, but I can definitely see the appeal. Thanks! I ended up making a red velvet cake for my daughter’s birthday and snacks for her party, so I still need to make this. I think I’ll make it as written tonight, and then decide if I want to tinker with it. I think it would make an excellent cake to take to my book club later this month, especially since one of the ladies does not like chocolate. I grew up in Arkansas and there were pecans everywhere! We always had big bowls of them out at Christmas. 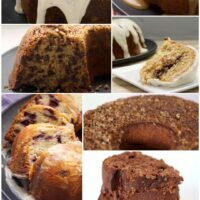 Now I live in Virginia, a pecan deprived state and am always looking for new ways to use them. I’ll definitely give this a whirl. Thanks and Merry Christmas!